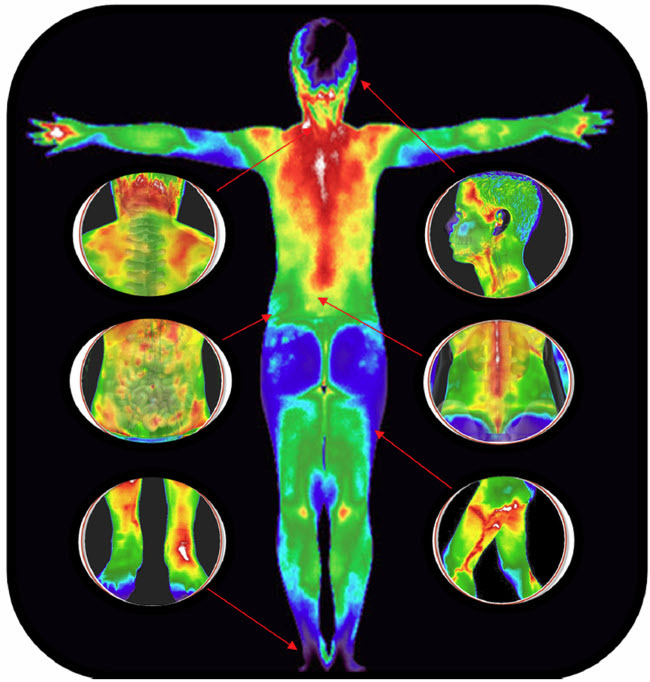 Thermography is a safe, non-contact, non-invasive examination of the human body. It is an excellent health study tool, currently being recognized for helping clients arrive at and maintain healthy bodies by monitoring changes over time. 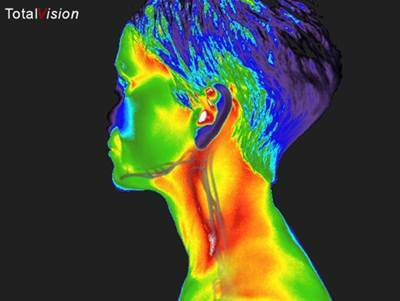 Both Men and Women have found thermography to be a valuable source of information for managing their health. 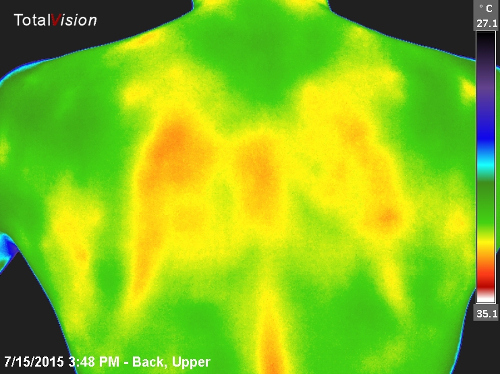 When you arrive for your appointment, you and your thermographer will review your health history. 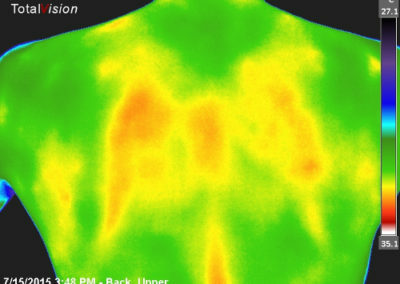 You will then go behind a privacy screen while your thermographer sits on the other side to conduct the thermal imaging. 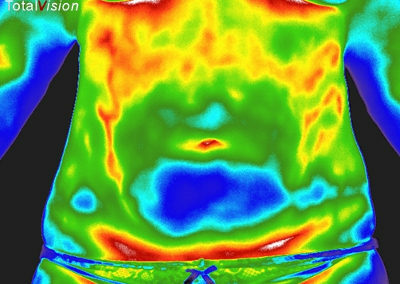 You will need to remove clothing covering the areas to be imaged, since thermography reads the various heat patterns on your skin. Our technician will be on the other side of the curtain the entire time. Behind a privacy screen, you simply disrobe, sit in front of our special camera and we image your body. 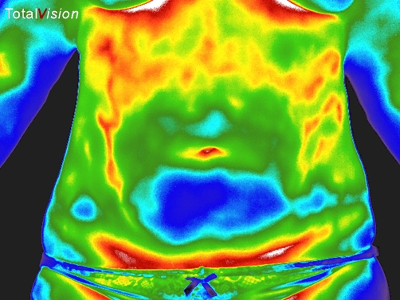 Following the study, you and your thermographer will review what you can expect from your report — interpretative text, recommendations, and a full set of images. 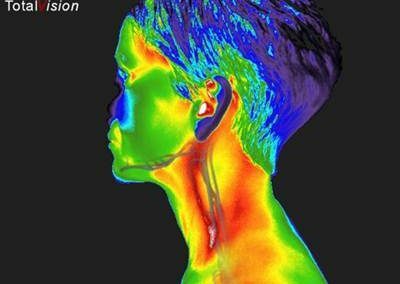 Your report is prepared for you by a medical doctor trained and experienced in analyzing thermal images and recognizing subtle changes. you will receive guidance on the use and importance of dry brushing to keep your lymphatic system in top shape, along with a complimentary dry brush.